1 April 2019 No fooling, I promise, just Ansible 381. 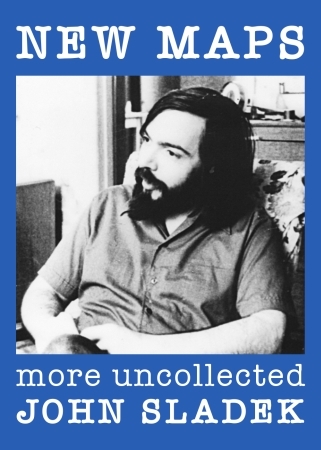 Also, New Maps: More Uncollected John Sladek is now available as a trade paperback for purchase online. Order now! Act without thinking! 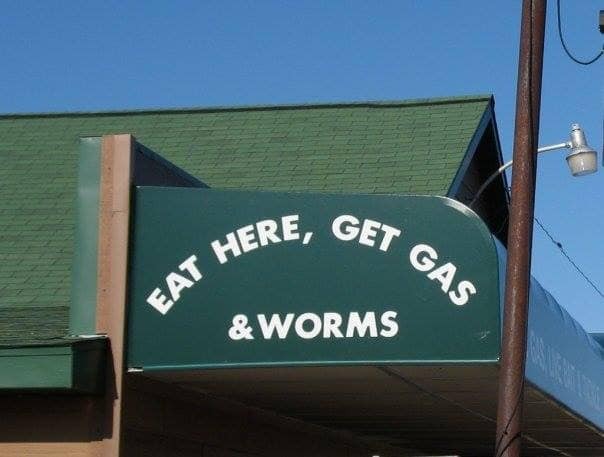 5 March 2019 Honesty in advertising (thanks to Pat Cadigan for this). 1 March 2019 What worse way to mark St David's Day than by publishing Ansible 380? Later: I had to update the online web page and PDF because next day the BSFA with perfect timing revealed that their March meeting would be a week earlier than announced. 1 February 2019 More of the usual in this month's issue, Ansible 379. 28 January 2019 Here's the current obsessive project: another John Sladek collection! 21 December 2018 Merry Solstice, everyone! 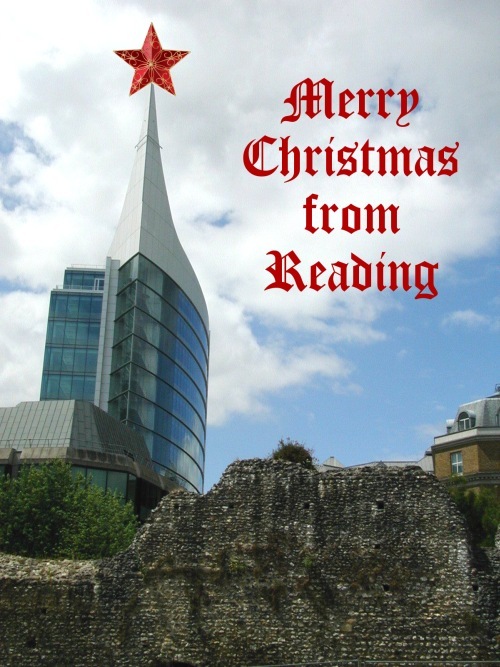 As an e-card for friends, Hazel instructed me to add a touch of festive tat to her photo of Reading old (the Abbey ruins) and new (the Blade building that can be seen from bloody everywhere). 30 November 2018 Not only another one-day-early issue, Ansible 377, but my best wishes for an impending festive season which may optionally be blighted by another free ebook release: Don't Try This at Home: Selected Convention Reports by (just between ourselves) me. 78,000 words of esoterica, gossip, bad taste and hangovers! 1 November 2018 And now, after what may look like an uneventful October but was in fact too busy for comfort ... here's Ansible 376. 1 October 2018 Here's Ansible 375. 31 August 2018 In accordance with a tradition altogether too boring to explain again, the September Ansible 374 appears one day early. 23 August 2018 Some links. Michael Scott Rohan memorial site (reminiscences solicited); SF Encyclopedia Worldcon News with Hugos and other awards; "The Encyclopedia of Science Fiction is the Best Place on the Internet" (blush). 1 August 2018 The hot weather made Ansible 373 more tiresome than usual to produce, but I had a moment's sense of wonder when for the first time I arrived at Kall Kwik to find the paper copies already printed and waiting. Traditionally I carry white laser-printer masters to the copy shop; in July I also took a PDF version on memory stick, which was received with enthusiasm; this time, as suggested, I emailed the PDF just before setting out for the town centre.  A side effect of the new regime is that the latest offerings at the Ansible PDF download page are high-quality printable documents, not the jaggy bitmap scans of old. 2 July 2018 Argh. Ansible 372, just out, was a huge pain to produce because the ancient laser printer died a couple of days ago and I couldn't find another that was obsolete enough to be compatible with the Ansible production software. So the whole operation had to be moved to a different platform. My brain hurts. Huge thanks to Steve Davies of Plokta cabal fame for donating an old laser printer that couldn't substitute directly for the really old one that failed, but can print lovely white masters (still expected by two of Ansible's Hero Distributors) from the PDF version. 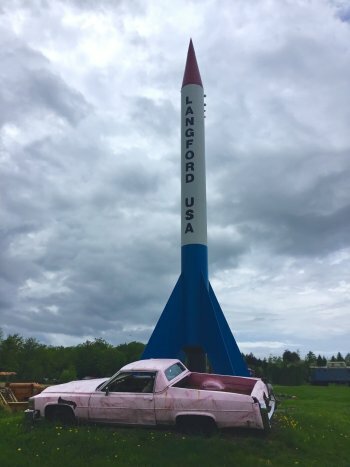 7 June 2018 A cheering mention of The Space Eater in a blog post by James D. Nicoll at Tor.com. 1 June 2018 Here's the just-published June issue of Ansible. 23 May 2018 Without comment, a photo by Gurf Morlix posted on Facebook by brother Jon. 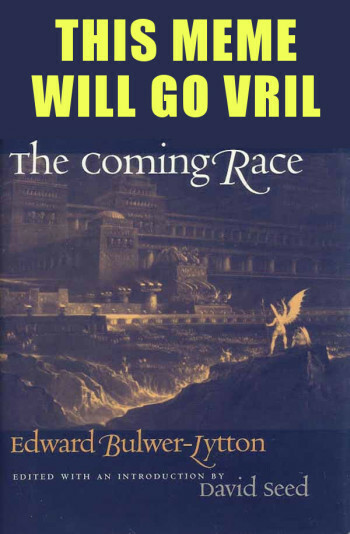 10 May 2018 This 2018 reissue of a 1975 Jack Vance novel is particularly dear to my heart because it includes a new introduction by me. 4 May 2018 Oops. Once again I forgot to link to the new Ansible on publication day (1 May). Over at the SF Encyclopedia, I recently had some fun writing an entry on Grey Goo, and yesterday – having all too many other things to do – was mysteriously impelled to create the image below. 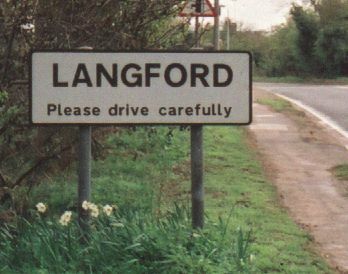 20 April 2018 Another Langford post at the Milford UK writers' conference blog: "The Silicon Critic". 27 March 2018 People are posting their Follycon (Eastercon 2018) schedules. Mine goes like this. Friday: stay in Reading, avoiding any Easter rail strike action and related travel stress. Saturday: various events including the ever-popular brunch and ciderklatsch near Cemetery Junction, Reading. Sunday: the intellectual workout day, with a big push at the Inquisitor crossword. Venue: 94 London Road, Reading. Monday: Easter bank holiday fun, probably involving outdoor activity in eastern Reading. Tuesday: the action shifts to KallKwik (printers) and Sweeney & Todd (pub venue for traditional envelope-stuffing lunch) in Reading town centre for publication of Ansible 369. With lots of hot Eastercon news, if anyone has sent it. 27 February 2018 Today, the famous LeVar Burton's reading of my short story "Different Kinds of Darkness" was released as part of his regular "LeVar Burton Reads" podcast series – here are links to his Stitcher and iTunes pages. It's free! This has been quite a thrill for me. For anyone looking for the original story, it's the title piece of my big collection Different Kinds of Darkness (print edition and ebook). 9 February 2018 Too many adventures here since the beginning of the month. Shortly after I'd dealt with the aftermath of Ansible 367, some time on Friday 2 February, we lost our internet access and didn't get it back until late Tuesday afternoon. I sneaked out a few apologetic emails via mobile phone, but otherwise there was general radio silence chez Langford for days. Hazel, despite a bad cold, struggled with Plusnet phone support. They admitted a problem at their end but the Monday fix "within four hours" failed to materialize. Presumably someone kicked the server on Tuesday, but not before subsequent support men had insisted on desperation measures like a factory reset of the router, which mucked up our in-house net (big networked backup drive, several computers and wireless access point all inaccessible). I've been doing repair work ever since. One printer remains intractable: Windows claims that it's unreachable by wireless yet strangely it's still happy to accept wireless scan requests and return scanned images via the wireless link. 1 February 2018 Ansible 367 published and posted to the usual places. 15 January 2018 The weekend just past was full of struggles with technology. None of the Langford websites had ever been set up for secure access (https rather than http), but Google supposedly favours secure sites in its rankings, and my webspace provider 1&1 had long been dangling the offer of a free security certificate for one domain.... So I tried it at taff.org.uk, where everything was fine after only minor tinkering (e.g. a site search option that had an http link to Google needed to be changed to https to avoid browser warnings). This tempted me to move into more complicated territory by investing in a "wildcard" certificate to cover not only ansible.uk but its various subdomains at ae.ansible.uk, news.ansible.uk, and so on. At first all seemed well – though with rather more tinkering required – but hubris was clobbered by nemesis when an Ansible reader reported hideous security-related error messages. After the usual routine panic, I realized that he was still using the old news.ansible.co.uk link, which for years had quietly redirected to news.ansible.uk but not any more. A nasty surprise to find that a simple "301 redirect" from a non-secure to a secure site fails in spectacular fashion ... until replaced by something far more complicated found via digilent online research. I fixed the problem eventually, though not before trying to throw myself on the mercy of webspace technical support and discovering that since I'd last used this feature all support options except via telephone had been removed. The caring message of 1&1 to disabled customers is: "If you're deaf, sod off." After dealing with all that and having a fairly stiff drink, I felt strong enough to tackle the ongoing problem with Hazel's elderly computer, where Excel spreadsheets (of which her family history research uses a vast number) consistently took 45 seconds to close. That is, they each saved more or less instantly but there was then a long hourglass-cursor delay before anything else could be done – such as saving and closing the next spreadsheet, and then the next, and the next.... After removing a couple of unnecessary background tasks without visible effect, I eventually found the culprit was Microsoft Outlook, a vile program which Hazel has never knowingly used. But it secretly watches over MS Office applications, including Excel, and by default records all file saves (among other data) to a "journal" file. This thing had grown over the years to seven megabytes. I can't imagine what massive inefficiency is required for Outlook to take 45 seconds to add an entry to a 7Mb database ... but the good news is that after I disabled Outlook's "journal" options and just for luck deleted the .pst (Personal STorage) file where all this rubbish had accumulated, Hazel's computer now saves and closes spreadsheets in a fraction of a second. Just another of the eight million stories in the naked city. 2 January 2018 Just when you were beginning to enjoy 2018 ... Langford spoils it all by posting Ansible 366. 1 January 2018 Happy New Year! Today there is no new Ansible because the printers are closed for the bank holiday – I hope to publish tomorrow. Instead, New Year's Day sees two momentous changes to the free ebooks page at the TAFF site. First, by popular demand of a few persistent fans, all titles are now available in PDF format (a quick-and-dirty conversion rather than proper digital typesetting, I'm afraid). Even more first, True Rat: The Beast of Leroy Kettle, edited as usual by Rob Hansen, collects the greatest hits from Roy Kettle's peak fanwriting years in the 1970s and early 1980s. 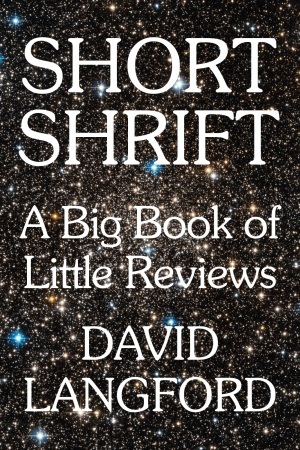 23 December 2017 A small treat for those who bought the Langford ebook Short Shrift: A Big Book of Little Reviews 1976-2017. This has now been expanded with a few more 2017 articles, boosting the word count from 262,000 to 264,500. Contents list and all indexes updated to match. You can download the Improved Version using the same login details as before. 18 December 2017 With Christmas looming it seems time to update the page of links to my F&SF "Curiosities" pieces with the recently published one on Max Beerbohm's A Christmas Garland – plus another, written this year, that the magazine rejected. 6 December 2017 Juliet McKenna reports victory for small businesses in the EU VAT Horror campaign, with the nightmare promised to end on 1 January 2019. See the long back-story here. 1 December 2017 As per the usual routine: here's Ansible 365, the December issue, and two more free ebooks at the TAFF site. Click through to read all about The Frank Arnold Papers (ed. Rob Hansen, introduction by Mike Moorcock) and The Complete Skyrack (Ron Bennett's 1960s UK fan newsletter).  Has it really been a whole month since my last note here? Much of the time was spent panicking over SF Encyclopedia website problems first noticed on 28 October, traced to a 25 October software "upgrade" at the Hachette web servers, analysed and agonized about for several weeks, and eventually fixed by Hachette IT in late November. With this stress removed, I must have momentarily allowed my immune system to relax and duly went down with a foul cold. So it goes. 1 November 2017 Today's releases: Ansible 364 and two more free ebooks at the TAFF site. Graham Charnock's Running Amok in the Fun Factory brings together his favourite UK convention reports by various hands, while fan historian Rob Hansen has collected William F. (Bill) Temple's 1938-1960 humorous fanzine writing as Temple at the Bar. 2 October 2017 Who could have expected such an astonishing development as the appearance of Ansible 363? 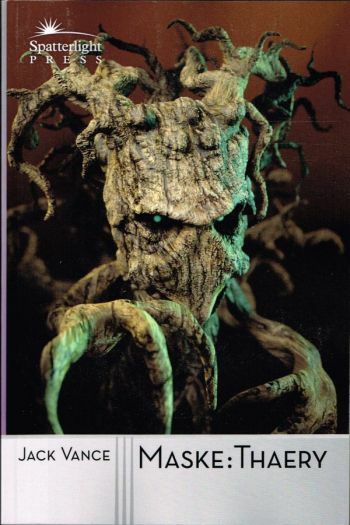 Buried deep in its innards is the news that the free ebooks page now includes Can't Get Off the Island, the collection of Greg Pickersgill's fanwriting produced by Claire Brialey and Mark Plummer for the 2005 Glasgow Worldcon. 10 August 2017 As already announced in Ansible 361 (though not very prominently) and on Facebook, I'm offering copies of my first solo book War in 2080: The Future of Military Technology (1979) for the cost of small-parcel postage within the UK (only). Signed hardback first edition in dust jacket, with errata sheet. Yes, of course this is dated, but I hope it's still fun; there are many science fiction references for the SF fans. See button below, borrowed from the PayPal donations page: the suggested amount is £3.50 to allow for PayPal's commission but you're welcome to bump it up a bit if feeling madly generous. 1 August 2017 Regular readers will have been expecting Ansible 361, but nobody expects the Spanish Inquisition! 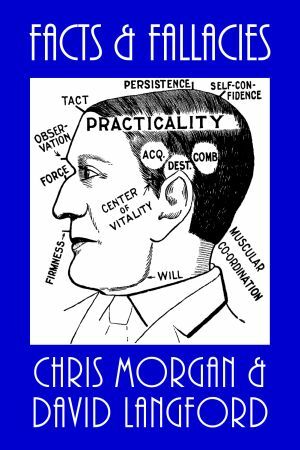 I'm sorry, I'll read that again: also out today is the ebook of my and Chris Morgan's Facts & Fallacies: A Book of Definitive Mistakes and Misguided Predictions – revised and significantly expanded from its 1981 print incarnation. 26 July 2017 Don't tell John Clute I said so, but SF Encyclopedia maintenance involves an awful lot of tedious drudge-work. Only once in a while do I find the time and inspiration for a new article that's actually fun to write, recent examples being the long theme entry for Swearing and the shorter author/artist piece on David Malki ! of Wondermark fame.  Meanwhile, Hazel was charmed by this Underground-style map of Britain's Roman roads, while I came across a link to a forgotten Langford interview conducted by someone from the British Computer Society and hosted on their site.